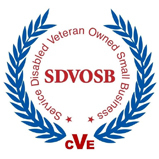 The ARRC is a “Service Disabled Veteran Owned Small Business” (SDVOSB), whose main objective is to provide both public and private sectors the tools to successfully develop their brand. 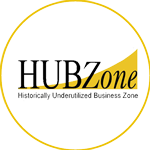 The ARRC® achieves this objective with its team of experts in various fields - from web and media to marketing and business consultation. Capturing a company's identity in a project requires communication between The ARRC® and the client and we pride ourselves in using this as our opportunity to get to know you and your company inside-out. We will commit time and energy into getting to know what it is you are looking to achieve and relay it back to our team. The ARRC® operates within a multigenerational business culture, combining fresh perspectives and seasoned expertise. The ARRC® began as a sole proprietorship in 2000, operating out of a home office and has grown into a corporation that now operates out of a 10,000 sq ft facility.